Position feedback sensors for hydraulic or pneumatic cylinders have most commonly used one of three technologies: Magnetostrictive (MLDTs), Variable Resistance (Pots), and Variable Inductance (LVITs) sensors. While other sensor technologies have occasionally been used in this application, here we will compare these three most popularly used technologies. Ultimately, a user or systems integrator must determine the requirements of the application and which technology best satisfies it on a total installed cost versus performance basis. The strengths and weaknesses of magnetostrictive, variable resistance and variable inductance sensors are examined below, along with a chart for feature-by-feature comparisons. First, a point to be noted is that all of these three common sensing technologies utilize a long probe that extends into a deep, small diameter blind hole gun-drilled into the internal end of the cylinder rod. Magnetostrictive technology has traditionally been the preferred technology for use in high accuracy applications. These sensors, often called LDTs or MLDTs, incorporate a stainless steel tubular probe and a short toroidal permanent magnet assembly around it that is installed in a counterbored recess in the piston. The most common package threads the sensors’ electronics housing into an O-ring port in the back of a cylinder, with the long slender probe inserted into the rod’s bore. This technology uses the “time of flight” principle to determine the magnet’s position with very high accuracy and moderate response time. In operation, the magnet is used to reflect a torsional mechanical pulse transmitted along a special wire called a waveguide inside of the probe. Typically each magnetostrictive sensor manufacturer has their own style of magnet with unique mounting features like the number of holes, the hole pattern, etc. Magnetostrictive sensors can consume a fair amount of power and are not the most mechanically rugged sensors. They offer electrical performance over mechanical robustness, because they often encounter shock and vibration issues. Yet, even with these potential drawbacks mechanically, a magnetostrictive position sensor’s package is tailor-made for port-mounted in-cylinder use. 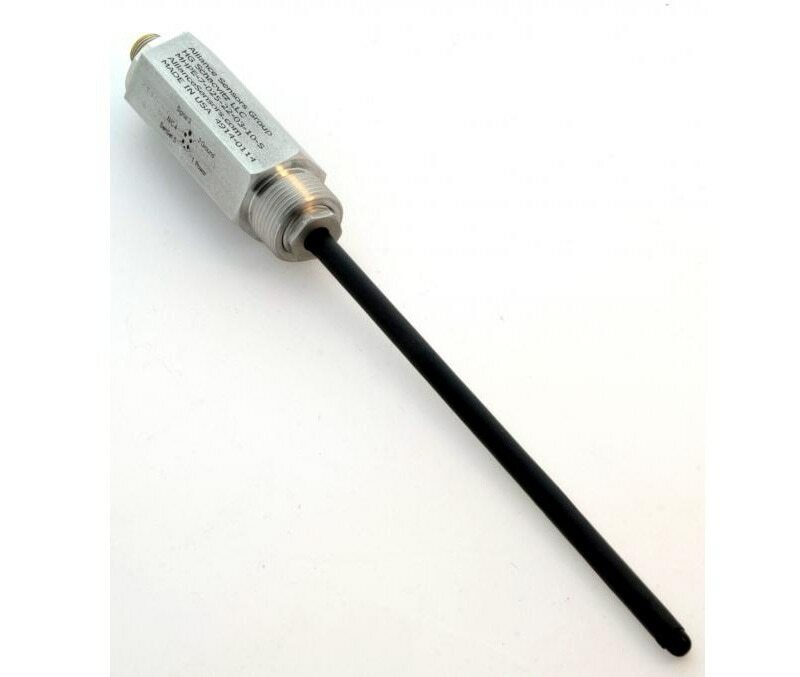 Variable Resistance potentiometer-type sensors, commonly called pots, are usually selected where purchase cost is a driver and high accuracy is not paramount. A resistance pot is usually embedded into the cylinder’s rear end cap, as opposed to the port mounting of a magnetostrictive sensor. It uses an insulated round carrier attached to the internal end of the gun-drilled cylinder rod supporting an electrically conductive wiper that contacts the surface of a partially conductive plastic probe. As the wiper moves along this plastic element, its resistance changes in a linear fashion, making it fairly easy to determine the carrier’s position and, thus, the rod’s position. Pots have been seen as a good position measurement solution for use in cylinders because of their ruggedness, favorable stroke-to-length ratio, and their large analog dc voltage output, which is a large percentage of the input voltage. The major drawback to resistance pots is wearout, especially if the cylinder is actuated at a high frequency, or even more importantly, dithered over a short range to improve a system’s dynamic characteristics. Since a resistance pot is embedded into the cylinder, replacement of a worn out pot can be very time-consuming and expensive, and could even result in the need for a completely new cylinder. 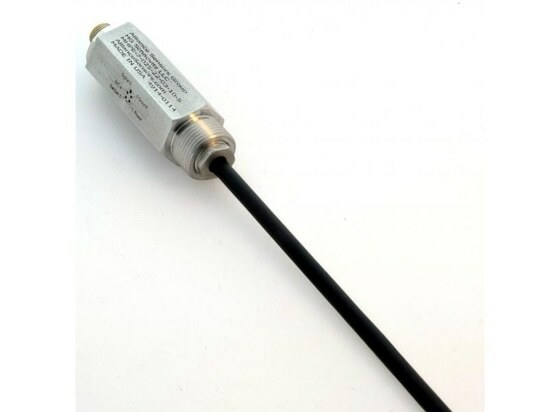 Linear Variable Inductance Transducer (LVIT) position sensors have been used in the cylinder industry but have not had the industry-wide recognition of magnetostrictive sensors or resistance potentiometers. This non-contacting technology has many significant advantages over resistance potentiometers regarding product life and long-term reliability, and usually can compete favorably with the performance of magnetostrictive sensors in terms of linearity, resolution and frequency response, but at a significantly lower cost. Equally important is the fact that variable inductance transducers can withstand much greater shocks and vibration, such as those commonly found in heavy industrial fluid power and mobile equipment applications. LVIT sensors cover the middle ground between the higher level of performance and external port mounting flexibility associated with a magnetostrictive sensor and the better ruggedness and lower price of an embedded resistance potentiometer. These sensors operate by measuring the resonant frequency of an oscillator circuit of an inductive probe whose inductance is varied by the position of the conductive gun-drilled rod over it, using built-in electronics. Typically offered in full-scale ranges of 4 to 36 in. (100 to 900 mm), both port-mounted and embedded packages are available, with connector and cable terminations. LVIT sensors offer either an analog dc voltage or current output, with some types of digital output available for OEM applications. The LVIT sensor presents a contactless solution that does not require a ring magnet. In fact, if an LVIT sensor were installed to replace an existing magnetostrictive sensor, the magnet can be left in place in the cylinder rod end without interfering with the sensor’s basic operation. In the past few years, the requirements for instrumented cylinders for subsea applications have dramatically increased. LVIT sensors are offered in a pressure-sealed version that allows a user to install the sensor and cylinder in subsea environments to depths of 10,000 ft (3,000 m), with 3,000 psig of internal pressure. Remote field calibration is a standard feature offered on many variable inductance sensors. This feature permits a user to scale the output of the sensor after it is installed on the cylinder. With a simple process to set the zero and the full-scale output points, the sensor will give the desired full-scale output over its newly set range, so it is no longer necessary to scale the unit in the associated control system. In a related fluid power application, though not involving hydraulic cylinders, spool position feedback sensing in two-stage hydraulic valves is often done with a pressure sealed LVDT. A short-range LVIT sensor with its simple inductive probe inserted into a blind hole in the end of the main spool is often an easier installation than the LVDT that requires an isolation tube to seal off the core from the valve’s pilot pressure, and external electronics to operate the LVDT. Where there are still many fluid power applications where resistance potentiometers and magnetostrictive sensors are a good solution, these applications tend to fall to either side of a bell curve. Recent electronic advancements and the flexibility of package designs make LVIT variable inductance sensors very cost effective for mainstream in-cylinder applications, especially those that tend to be near the peak of that bell curve.